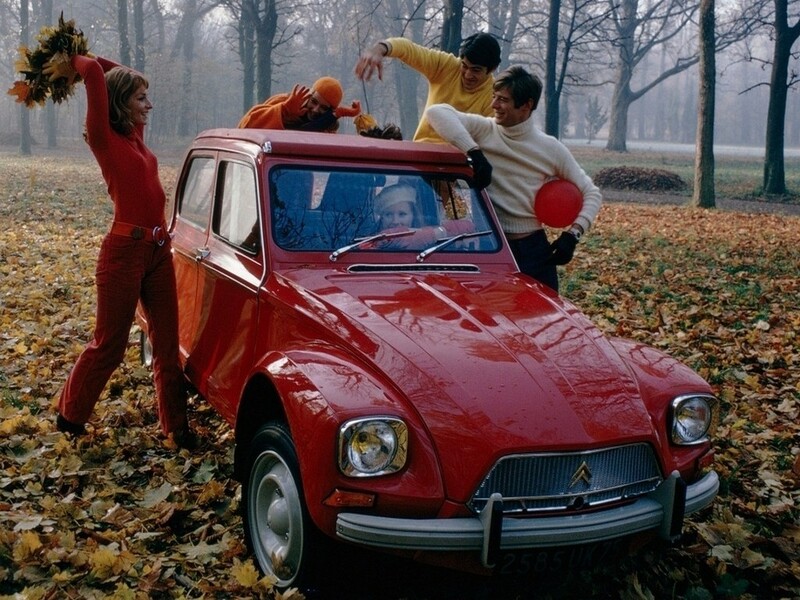 How would you caption this late-1960s Citroën Dyane press shot? My Dad had one of these in red – with leopard skin seat covers – very Paris Boudoir – then I got mine and painted it desert cam ! !